The Closer finally closed the deal on Sunday in Fort Worth, Texas, picking up his eighth victory of 2018 by holding off Ryan Blaney in NASCAR overtime while also earning his spot in the Championship 4 at Homestead. While Kevin Harvick made a statement, Joey Logano added another name to his avoid list for Homestead in the form of Aric Almirola. Martin Truex Jr. was on a roller coaster ride Sunday after starting from the rear of the field for an engine change. Truex rebounded but then was set back again after a pit road penalty was handed to the No. 78 and still, he rebounded to earn a ninth-place finish. 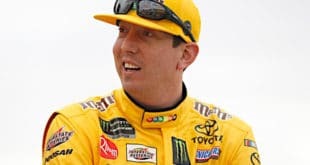 Kyle Busch also had a struggle of a day and his result wasn’t as good as Truex’s, setting him up in weird situation for ISM Raceway this upcoming weekend. 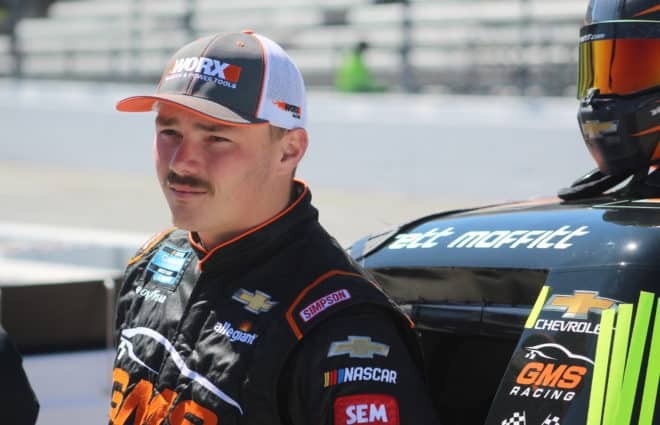 His brother, Kurt, could be the sleeper at Phoenix as he exits Texas with a 23-point deficit that is certainly not insurmountable. Chase Elliott and Almirola were already in a huge hole as a result of Logano’s victory at Martinsville. Both had solid runs on Sunday but it wasn’t enough to make up any ground. Both now join Clint Bowyer in must-win situations at ISM Raceway. The Round of 8 drivers all will need to be on their toes as the series heads to ISM Raceway. With a new track layout, though, the notebook is kind of slim. After a few playoff races got away from him, Harvick finally closed the deal on Sunday at Texas, returning to Victory Lane for the first time since August and capturing his eighth win of the season. Harvick joins Logano in the Championship 4 at Homestead with that victory. He is first in our Power Rankings this week because of his dominating weekend in Texas. As the winningest driver at ISM Raceway with nine victories, including one earlier this season, Harvick has just one finish outside the top 10 in Phoenix since the 2012 season began. Don’t be surprised if he steals a win again this weekend, especially since he now has nothing to lose on the reconfigured track. Logano isn’t making friends on his road to Miami and Sunday wasn’t any different. Logano and Almirola had an issue late in the race which ultimately occurred because of Almirola’s assumption that Logano doesn’t need to race hard since he’s locked into the Championship 4. 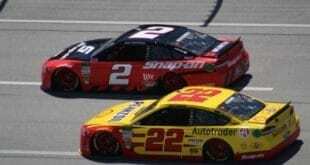 Realistically, Logano did nothing wrong on Sunday. He’s a competitor going for the victory just like the rest of the other 39 drivers. 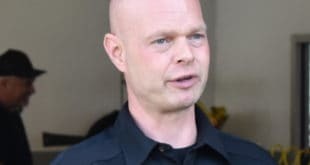 If we’re going to set the bar that a driver who is locked into the next round can’t race for the race win, then they should be allowed to take the remaining races off until the next round begins. Otherwise, just man up and race everyone the same. Another week, another sneaky Kyle Busch. Despite not having very much of anything to bring to the table, Busch is doing exactly what he needs to do to make it to Miami (and not irritate anyone on the way). 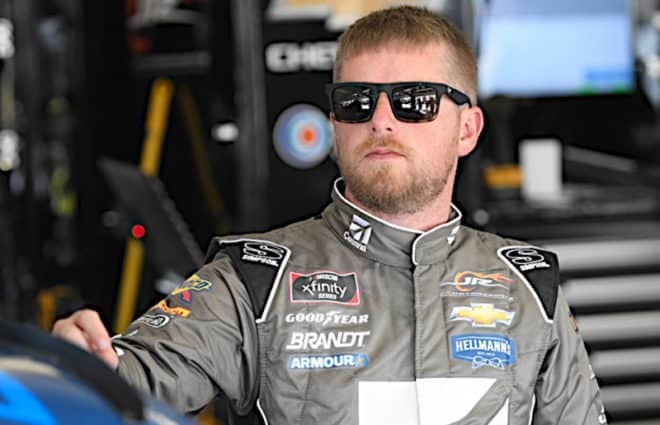 The only issue is that three drivers enter Phoenix with a chance to punch their ticket to Homestead via points and if someone below positions three through five wins, it could throw out both of the Big Three drivers and leave Kyle’s brother with a shot at winning his first title since 2004. Busch needs to keep his eyes open on Sunday and needs to know when to strike. 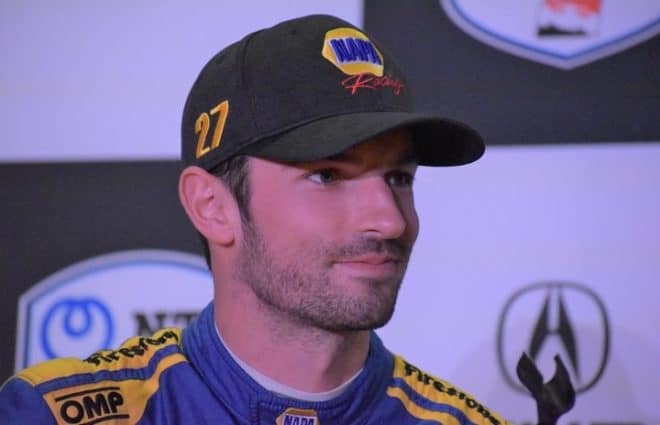 Chase Elliott is one of the three drivers in must-win situations entering Sunday’s race at ISM Raceway. The cream is rising to the top and it leaves no room for errors. Elliott will need to pull out some of the speed he had last November in order to keep his championship hopes alive. Meanwhile, Elliott’s favorite College Football team clinched the SEC East and a spot in the SEC Championship in Atlanta, Georgia. The only issue is, they will face Alabama. It’s kind of similar to how the NASCAR playoffs are shaping up. Harvick is Alabama and Elliott is Georiga. Though it’s a pretty far off chance, Kurt Busch could make the Championship 4 via points even if one of the bottom three win. Kurt is going to need to have a phenomenal race on Sunday and pray for some help. Sunday’s race at Texas was just a sign of what Busch has to offer and if he makes it to Homestead, he could very well compete against his teammate Kevin Harvick for the title. Martin Truex Jr.’s luck could be running out. Currently, he sits fourth of the Championship 4 drivers and, if anything, he may be in a must-win situation on Sunday if Kurt Busch tallies up some points that Truex doesn’t earn. The No. 78 team will need to pick up the pace during the first two stages to earn as many points as possible, and every point will matter. Almirola had a pretty strong car on Sunday but the only thing he was lacking was good track position. He had it late in the race but a move by Logano seemed to knock that momentum out and Almirola wound up finishing the race in eighth. Almirola joins teammate Bowyer and Elliott on the must-win list and, if anything, the last two times Almirola’s back was pushed to the wall, he broke his way through and knocked the doubters out of their seats. Despite being knocked out of the playoffs, Texas was going to be a strong race for the No. 12 team. 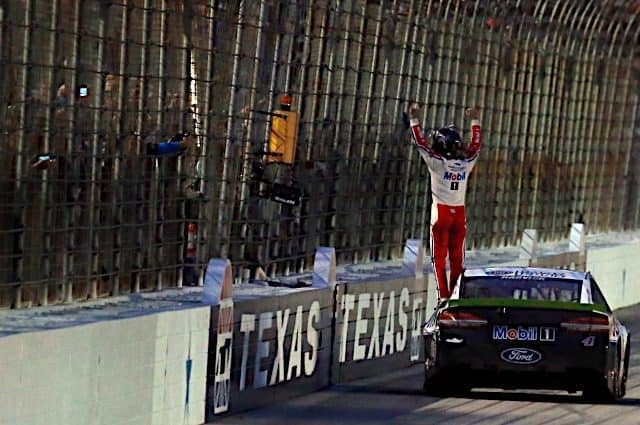 Texas has clicked very well for Blaney during his career and on Sunday, he almost was able to earn his third career victory. These final races are very important for the No. 12 team to pull momentum into 2019. Erik Jones won the XFINITY Series race at Texas last November; on Sunday, he could’ve very well backed it up with a Cup Series victory a year later. Jones was running up front a good chunk of the final stage and he’s made a statement late this year. If things continue to click for the No. 20 team heading into 2019, they could go further than they did in the 2018 playoffs. It was a rough day for Bowyer and it pushes him to the final spot in the playoff standings. Bowyer is a hefty 73 points from the cut-off line which means he has zero to lose and everything to gain. 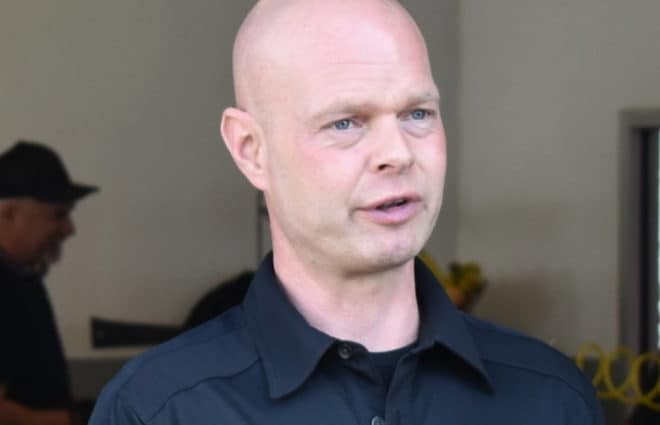 The first lap accident between him and Denny Hamlin at Texas really set him back and he doesn’t need something like that to happen again on Sunday. 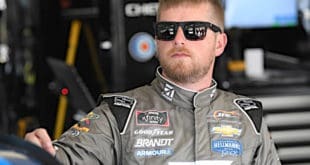 Previous NASCAR Mailbox: Can the 2019 Package Benefit Intermediate Tracks?